Finally got the car back Wednesday night. Paint looks phenomenal. 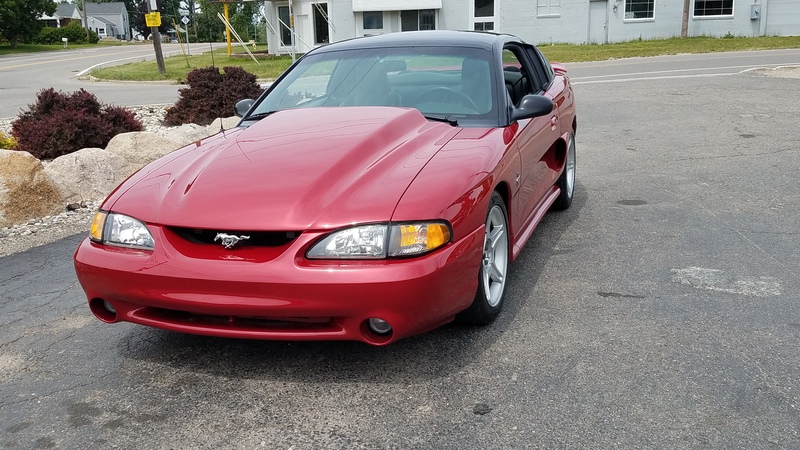 Car stats: 95 V6 body Cobra front cover, 95 cobra cowl hood, S281 spoiler, side scoops and 1/4 window covers. Motor: Stock bottom end, 94 cobra GT40 cobra heads with 1.7 roller rockers and SVO intake. New timing chain and oil pump. 65mm throttle body and chipped. Exhaust: BBK equal length shorty headers, BBK off road H and Borla mufflers. Trans: Stock AODE was rebuilt with a shift kit, aluminum DS. Suspension: Front - Stock K-member with non offset MM control arms, Koni yellow struts with coil overs, MM CC plates, MM solid steering shaft, BBK strut tower brace. Rear - MM sub frame connectors, torque arm / panhard bar setup, Koni yellow shocks and torque arm springs, 373 gears in the rear end Interior: Black stock interior with 05 mustang leather front seats. Can't wait to get it back and finally enjoy driving it. I guess I never did introduce myself. 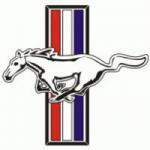 My name is Mike and I own a 95 Mustang. I pulled everything out of my first mustang that was rusting away and put it into my current one. Compete drive train, suspension, wiring harness and interior. Currently waiting for it to come back from paint. It's been a long two and a half months wait. I was told it should be done by Tuesday Wednesday next week.